Grandview is the Temple’s home in Salem, New Hampshire. 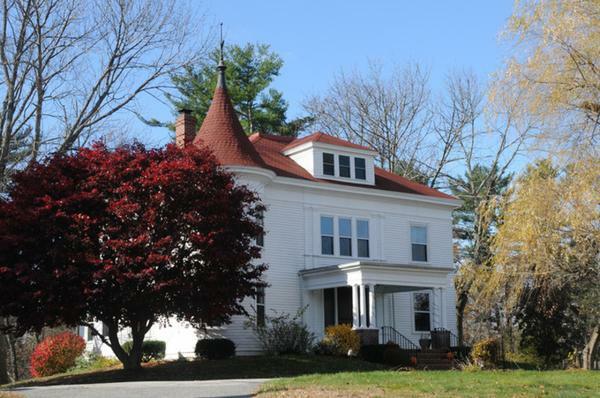 Built in 1898, and purchased by the Temple in 2012, the property consists of a house, detached barn, and guest cottage, along with 5.5 acres of primarily wooded land. Following the purchase of the property, the Temple applied for, and received, town approval to build an expanded parking area adjacent to the house to comply with town ordinances regarding religious establishments. Classes and small gatherings are held on the ground floor of the house, and Temple ministers can use the teaching and ritual space for private meetings to offer spiritual care and counseling. The front “parlor” serves as the Temple’s administrative area and stocks books and other supplies for the Temple store. Our three founders occupy the second and third floors of the house and serve as Grandview’s caretakers, while helping the Temple to support the property. Grandview is open by event and appointment only and not to the general public. Those interested in visiting should plan to attend a Temple event as there are no open “public hours” for drop-in visits. Temple members should contact the appropriate minister to arrange an appointment at the office.